My 3 favourite sessions at IncentiveWorks ( #iwshow ): what are yours? This week, on Tuesday and Wednesday, IncentiveWorks takes place in Toronto. 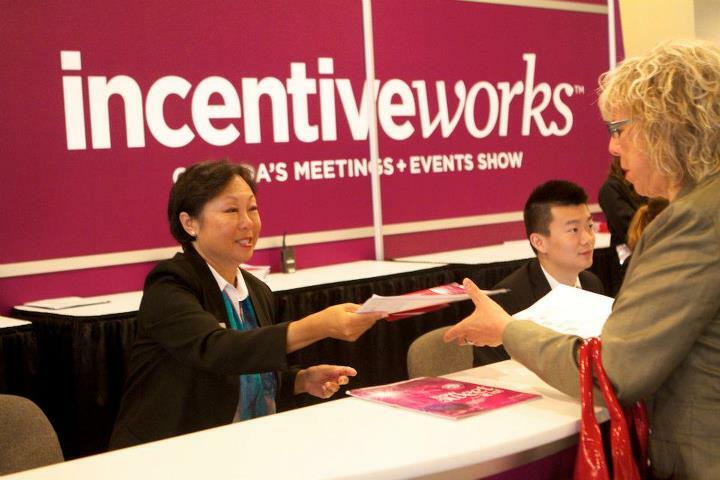 IncentiveWorks is Canada’s largest and longest running education and trade show event for the meetings, incentive travel and special events industry. I am looking forward to following their stream via the hash-tag #iwshow. And as you might have expected by now, I started browsing the programme and asked myself: what would have been my ‘must attend’ eductional sessions if I could have been there? These are my top 3 picks. Please let me know what your favourite sessions are, were or would have been! Incentive travel is under a magenifying glass and the return on investment is being questioned. I am always curious to hear how industry experts propose to deal with these challenges. Here in Holland I see a lot of planners combining the strength of an emotional experience with a learning experience; a so-called ‘meetcentive‘. Would these experts see this as a way to move forward too? The incentive travel industry is constantly changing and keeping on top of what’s out there and what’s right for you can be challenging. Whether you’re an in-house planner who’s buying incentive travel, a third-party or indie planner who’s planning an incentive travel trip for a client or a supplier who’s selling an incentive property, this is the session for you. The effective use of Social Media always draws my attention. Esspecially in relation to meetingplanners. Did you know the Netherlands is among the 3 most active countries on Linkedin? By the way,if you have not connected with me, check my different Social profiles in this post or at the bottom of this page. There’s a wealth of information out there on social media. So now that we know what it is, and all the interesting ways it has worked for brands and businesses in the past, what the heck do PLANNERS do with it? In this interactive and very participatory session, you’ll discover how to get your attendees – internal and external – to truly engage with you via social media. The Problem with the Future is… It’s Now! Times are changing! So every bit of information we can get on the direction in which our industry is moving, we should get our hands on. That is why I am very curious about the findings of this study by MPI. Discover the latest findings from the MPI Future of Meetings Thought Leadership Initiative study. Gain perspective on the future of technology, social media, meeting design and venues from over 1,500 meeting industry professionals as well as experts from outside our space. This session will raise questions about the future and offer practical ways you can address the trends because the future is for you to invent. This entry was posted in Improve your meetings in Holland and tagged activities, education, events, favourites, Holland, incentives, meeting, Meeting planners, MPI, networking, SITE, tips, travel, trends by The Artist Formerly Known As Meet Mr Holland. Bookmark the permalink. I will be tweeting and blogging from the show show for sure I will let you know my picks.